I have said before that 18-volt impact drivers are now producing torque that is more than the average user would need, and now it looks like we are seeing the Milwaukee M12 FUEL Brushless line benefit from the same technology advancements. M12 Fuel tools share many of the same features from their M18 FUEL brothers including the Powerstate brushless motor, Redlithium smart battery technology, and the Redlink Plus battery/tool communication system. All of these features combine to give the M12 Fuel impact drivers a whopping 1,200 in-lbs of torque and up to 2,600 RPM. The Drive Control feature found in the M18 Fuel Impacts also finds its way into the smaller M12 Fuel. This feature allows the users to select an impact setting to better match his current task. 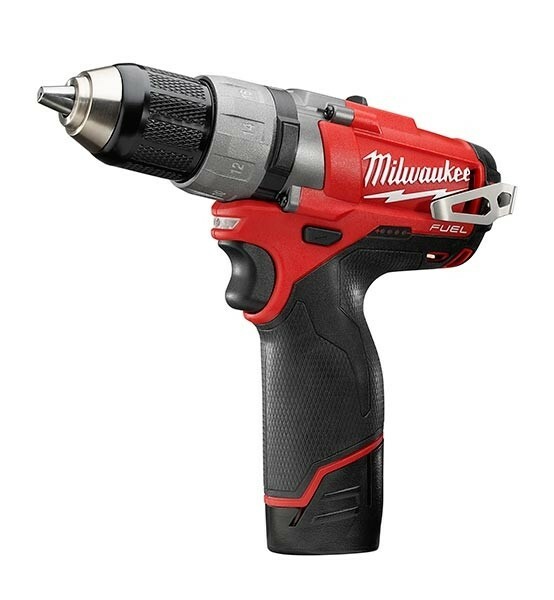 The M12 ¼-inch driver gets the benefit of 325 in-lbs of torque, and the drill/drivers offer up 350 in-lbs at 1,700 RPM. Milwaukee is also kicking things up a notch by being the first to offer ultra compact drills in a full ½-inch chuck. 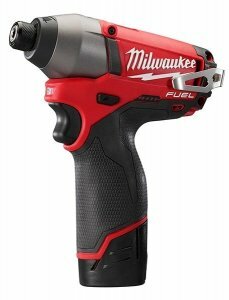 Let us also not forget that Milwaukee has updated their M12 batteries to deliver 2.0 and 4.0 amps of power depending on the battery size, and the new M12 Fuel tools come with these new batteries as an option.